While in Black Mountain, we visited a new little market called The Artisan. 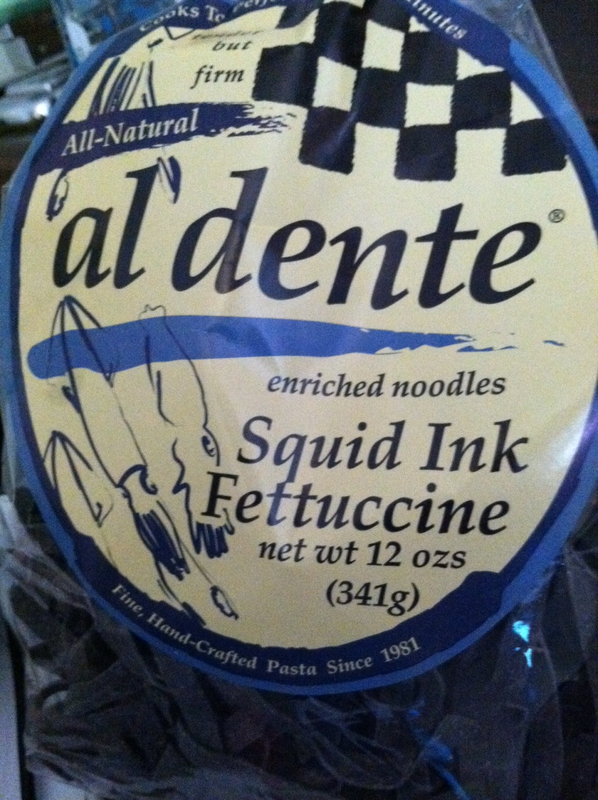 We found all sorts of good, exciting food items…including squid ink pasta. 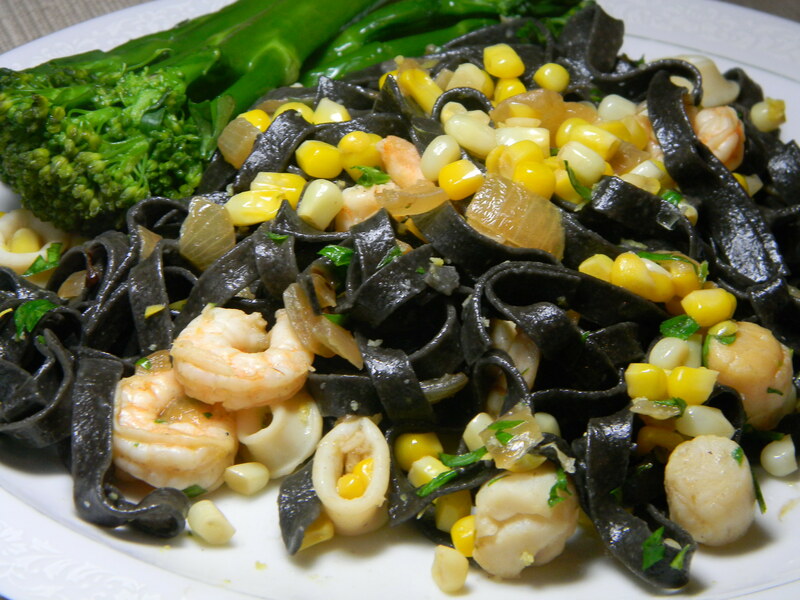 Very soon after we got home, we started meal planning…and we ended up with a slightly creepy looking but incredibly delicious dish: Squid Ink Pasta with seafood, fresh corn, and caramelized onions. The seafood you see is shrimp, scallops, and calamari…which all came together in a seafood mix from Trader Joe’s. Is it weird that we ate calamari WITH squid ink pasta? Thank you, cephalopods, for your contribution to this dish. Even though it looks a little strange, the flavor of this pasta was amazing – it basically tasted like perfectly salted fresh pasta, but the saltiness was more sea-salty than anything else…It paired perfectly with the sauteed seafood. We added some fresh corn and caramelized onion for sweetness, and served the pasta alongside some broccolini. If you can’t find squid ink pasta, regular pasta can easily be substituted in this dish… but it wouldn’t be nearly as fun to eat!